Our custom dive boats make two trips daily: 2-Tank morning dive at 8:30 am and an afternoon 1-Tank dive at 1:30 pm. Our dive sites are selected to offer you an underwater adventure beyond compare. And our dive trips include FREE transportation to and from area hotels between Cable Beach and Paradise Island and the dive shop. Includes all equipment* except wet suit. 90 min. 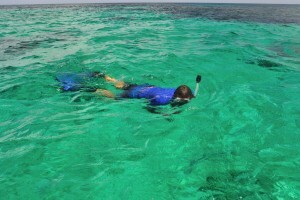 pool lesson and an escorted shallow afternoon reef dive. Includes all equipment* except wet suit. 1 1/2 days – 1 academic review session, 1 pool session and 4 dives. Student must have completed PADI E-Learning before arrival. 2 days time with 5 dives. Includes tank(s) weights and weight belt. *Equipment = BCD, Regulator, Tank(s), weights and weight belts. NOTE: All dives subject to change due to weather conditions or any other reason.